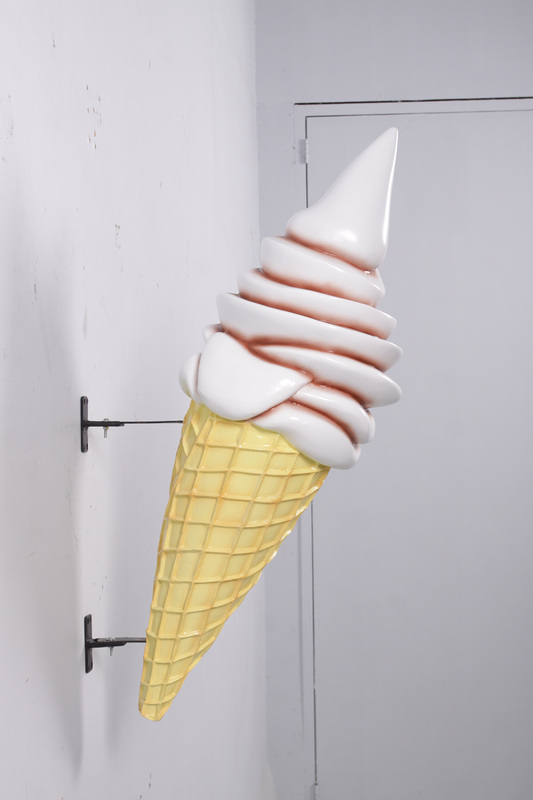 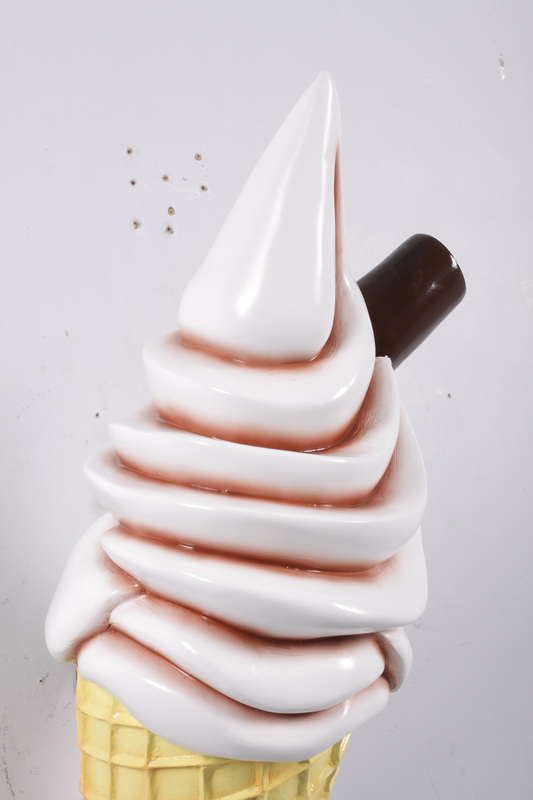 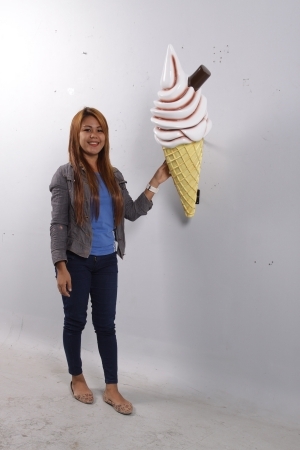 Attract maximum customer attention to your kiosk, parlour or dairy with our single scoop on waffle cone Ice Cream; this 3ft tall model mounts easily to the wall. 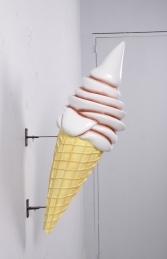 Featured here is a hanging chocolate single scoop style ice cream. Sat on top of a waffle cone, this is the perfect way to advertise that you sell ice cream! 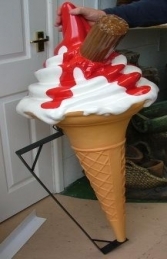 Before placing your order if you have any queries or special requirements do contacts us and we will be happy to discuss these with you by phone or email.